Two Septembers ago, exactly two weeks before I got married, I decided to try something called “The Survival Race,” kind of a 5K on steroids. It served as a bonding experience with some longtime friends, and a relatively wholesome “sowing wild oats” kind of thing before I tied the knot. My fiancee was fine with it, though she made me vow not to let anything happen to my face, and not to break anything. No problem, I said. At the time, I’d never broken a bone. I was in my best shape in some time back then, having healed a persistent shin injury and done CrossFit for the past six months. As such, The Survival Race did not live up to its foreboding moniker. No obstacle was particularly daunting, and I felt fast and strong. They had a steep, muddy embankment, probably about a quarter mile straight up, with a rope to painstakingly guide yourself. I simply clambered up the hill, no rope necessary. Forget 32 years old; I felt 22 that day. That hubris got the best of me. With a half mile left, I scaled a 12-foot wall, misunderstood the obstacle and leaped off the top instead of climbing down. I had that sickening feeling when you hang in the air just a little too long and found myself flat on my back. I bounced up, shook it off and finished the race, but I drove home with a searing pain in my right heel. I figured if I ignored it, maybe it would go away. I even went for a few short runs the following week. It was only when I caved and got an X-Ray the day before my wedding that I learned I had broken my foot in the dumbest way possible. I wasn’t all that discouraged. I toughed it out without a cast at my wedding, and I figured I’d heal up and get right back in the swing of things, a little bit of wishful thinking left over from my 20’s. Exactly a week after the Survival Race — and a week before our wedding — I settled in with my broken foot and my soon-to-be-wife to watch our favorite boxer, Sergio Martinez, in his first big payday against Julio Cesar Chavez Jr. And it was fitting, since Martinez’s rise to prominence directly correlated with the blossoming of our relationship. We don’t really watch much sports together, but Montana and I had long bonded over our mutual enjoyment of boxing. Between us, we’d been to three of Sergio’s fights, including his stoppage of Matthew Macklin on St. Patrick’s Day 2012 in front of a raucous MSG Theater. We have signed gloves in our living room, and a picture I took after his demolition of Paul Williams leads Martinez’s Wikipedia Page. Sergio was nothing short of magnificent for 11 rounds against Chavez, effortlessly fighting rings around his bigger, slower opponent. But he let his guard down in the 12th, got caught against the ropes and was dropped, and his knee buckled underneath him. He held on and won a wide decision, and we went to bed happy — and relieved. But as we now know, that fateful 12th round was the beginning of the end. A former soccer player and a gifted athlete, Martinez was slick enough to specialize in keeping his hands at his waist a la Roy Jones, luring opponents for counters. But he returned from right knee surgery the following spring without the speed and elusiveness that made him special. Martinez looked every one of his 38 years against Martin Murray while winning a decision I wasn’t sure he deserved. He then required another operation on his knee. Cotto smartly swarmed him from the opening bell, and three first-round knockdowns later, a woozy Martinez knew he was out of his depth. Though it’s a credit to his toughness and perseverance that the fight lasted eight more rounds, it was clear that while his mind was still willing, his legs weren’t quite able. It’s a feeling I know all too well. I think we’re generally too proud to accept that we’re not immune to the shortcomings of growing older, needing to be humbled multiple times before admitting it to ourselves. And once you’re on the wrong side of 30 and something goes awry, it tends to have a ripple effect. 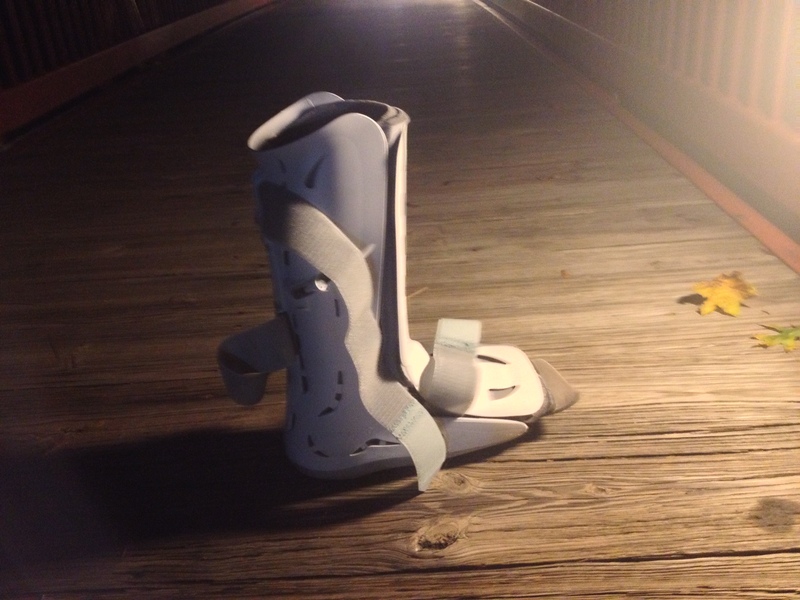 After a month confined to a walking boot and a subsequent month in physical therapy, I was back on the road. And there were days when nothing hurt and I felt like I could fly. But little things started cropping up, and they kept adding up. 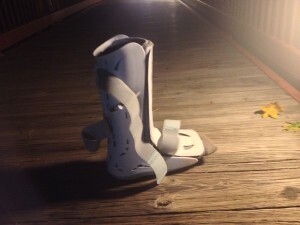 I came down with plantar fasciitis that sidelined me for four months, and it’s never quite healed all the way. My left knee aches one day, my quadriceps another. Lately, I’ve dealt with tightness in my left leg; I can’t ascertain if it’s my hip, my groin, my hamstring or all three. And it’s hard on me, because I’m not so far removed that I don’t remember what it was like to feel invincible. A late bloomer, I got into running at 20 — the same age Martinez took up boxing — started to love it at 24 and ran two marathons at 27 and 28. My infrequent injuries seemingly healed within hours. I never once iced postrun. I don’t want to say I took it all for granted — I remember specific runs that were so euphoric that they were almost spiritual experiences — but there’s no question youth is wasted on the young. Watching a stunned Martinez stagger around the ring on Saturday like Willlie Mays in the Shea Stadium outfield, it was just another reminder that nobody is impervious to gravity and time. To try to hold on to the way things were — the way we were — is a fool’s errand. But that doesn’t mean we have to entirely let go, either. Sergio may never fight again — at this point, honestly, I hope he doesn’t — but it doesn’t take away from his terrific legacy, or from the wonderful experiences my wife and I shared attending and watching his fights. Likewise, it bothers me I may never run another marathon, since I tend to break down after going much farther than four miles. But I will always treasure the two I completed. Besides, I’m kind of liking the concept of mud runs lately. Montana ran one with me last year, and we had a blast crawling under barbed wire and leaping over fire pits. Not to mention, I honestly think I got more from completing an ordeal like that with my wife than I did running the marathons alone. 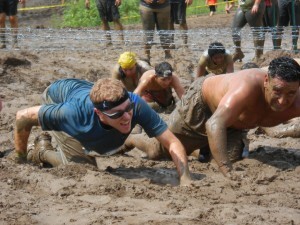 As such, we’re running our second Rugged Maniac about a month from now. This is how it goes: You move on, you find new challenges, you get in where you fit in. Because when it comes down to it, I think it’s perfectly fine to look back at how things were once in a while, so long as it doesn’t distract from everything you have to look forward to. Completely agree. As a Sergio guy, I was hoping he was healed enough to stage a truly competitive fight with an aging but still world-class fighter. When I watched him on 24/7, you could tell that wouldn’t be the case.